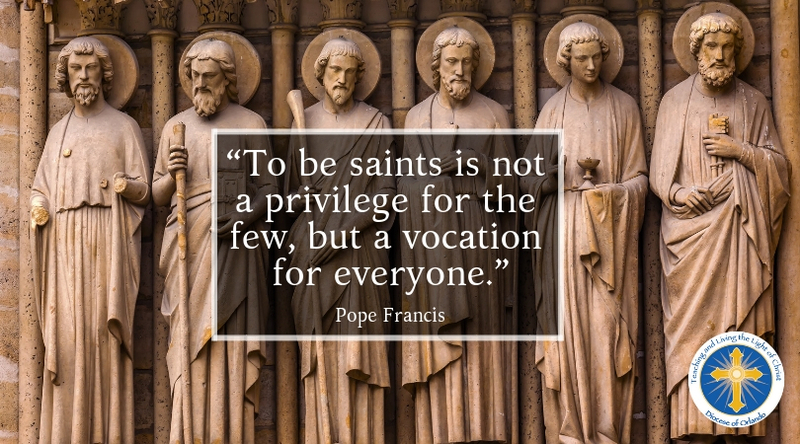 On November 1, we celebrate All Saints whose prayerful living guides our own. It is a holy day of obligation. Check with your parish for Mass times or click here to find a parish in Diocese of Orlando near you. May we live by their examples of faith and trust in God. On November 2, we pray for our deceased bishops of the Diocese of Orlando, our priests, family members and friends who died this past year. May all the faithful departed rest in peace.